A return to Mosman’s Restaurant – a true delight from start to finish with views to die for! 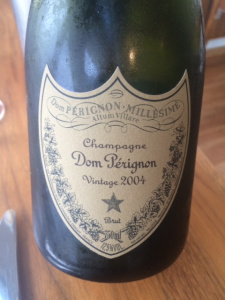 The 2004 Vintage Dom Perignon – the perfect start of a delightful meal! It was a couple of weeks ago and Trevor asked me where I would like to go for my birthday to celebrate turning another year old. I originally wanted to go to the Print Hall but as it was not open on a Sunday I decided that a return visit to Mosman’s was in order as I really enjoyed our last lunch there. This is one of those restaurants situated on the river and with such stunning vistas is a real day time must head to restaurant. 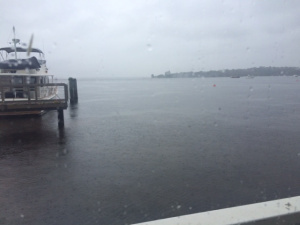 It does not matter what the weather is like, it was rainy and overcast on my birthday, as the view across the Swan River is always majestic and delightful to behold. The view from our table – just wonderful, even though it was raining! Bistro Guillaume at Crown – the french connection a true delight!